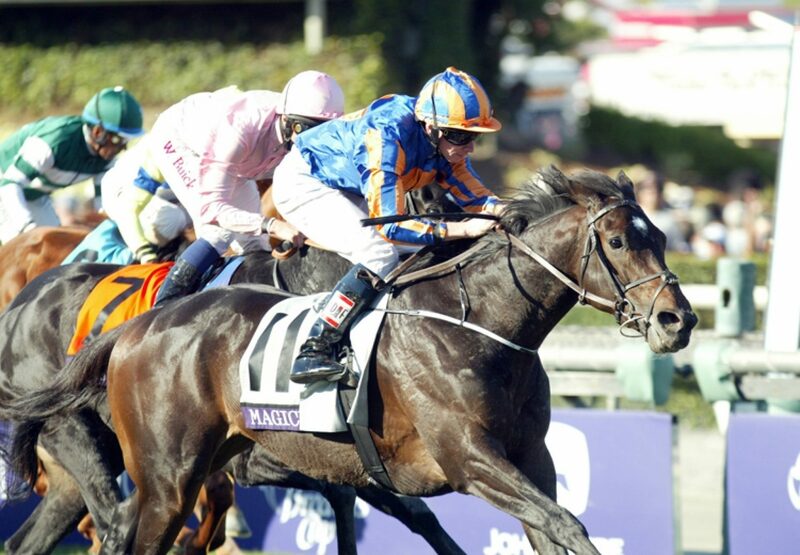 Defending Breeders’ Cup Turf winner Magician will retire to Ashford Stud after the Breeders’ Cup on Saturday. By Galileo out of six-furlong Listed winner Absolutelyfabulous, Magician broke his maiden by six lengths at the Curragh as a juvenile. He began the following season with a four-length romp in Chester’s Gr.3 Dee Stakes before dropping back to a mile for the Gr.1 Irish 2,000 Guineas which he won by a comfortable 3½ lengths. Then in his first attempt at the trip in the Gr.1 Breeders’ Cup Turf off a 4½ -month layoff he produced a power-packed finish to deny The Fugue. This season Magician recorded another success in the Gr.3 Mooresbridge Stakes along with three solid efforts at the highest level when filling the runner-up spot in the Gr.1 Tattersalls Gold Cup, Royal Ascot’s Gr.1 Prince of Wales’s Stakes and most recently the Gr.1 Arlington Million.